When Andie tries to gain closure with her ex-husband, he asks one final favor of her. A distant cousin has died and left North the guardian of two orphans. When Andie meets the two children, she realizes the situation is much worse than she feared. Carter and Alice aren’t your average delinquents, and the creepy old house where they live is being run by the worst housekeeper since Mrs. Danvers. Complicating matters is Andie’s fiancé’s suspicion that this is all a plan by North to get Andie back. Leese Phelps's road hasn't been an easy one, but it's brought him to the perfect job - working for the elite Body Armor security agency. And what his newest assignment lacks in size, she makes up for in fire and backbone. But being drawn to Catalina Nicholson is a dangerous complication, especially since it could be the very man who hired Leese who's threatening her. What Catalina knows could get her killed. But who'd believe the sordid truth about her powerful stepfather? Josie Jackson was growing tired of a constant stream of yawn-inducing blind dates, courtesy of her dear, meddling sister. But Nick Harris wasn’t the stuffy, straitlaced workaholic that Josie had come to expect. In fact, he was just the opposite—tall, dark, and ready to give little Miss Josie Jackson a night to remember. Jason Guthrie has no time for entanglements - between helping out his widowed brother and teenage nephew and getting his hometown back on its feet, his days are spoken for. 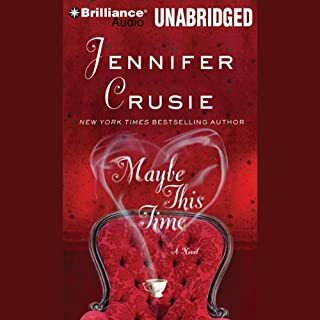 But his nights are another story.... And when his lovely new neighbor, Honor Brown, reluctantly accepts his help in remodeling her house, Jason finds himself wishing his handyman skills could knock down the defenses she keeps building around herself. 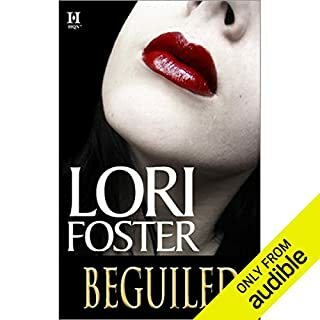 ©2001 Lori Foster (P)2009 Audible, Inc. When I first started this book, I thought it was going to be a silly piece of fluff and a waste of my money, but it turned out to be charming and funny and sweet. The characters were endearing and a little quirky; even the pets had personality. It put me in mind of early Janet Evanovich stuff, back when she was still funny. Very lightweight but still a good read, definitely not a wasted credit. I liked this book for the money. It was cute and fun to listen to. I would recommend this book to anyone who likes romance books. Can I just say I made it to an hour and 45 mins left before the main character turned into such a raging B I had to stop the story. A character can be humanized without alienating an audience and unfortunately the author missed the mark this time. Some faults can be charming and add a level of depth that draw someone in, but a cruel woman to such a kind main man character was just unnecessary and a huge let down and had me hoping the happy ending was the man moving on to someone else entirely. Don’t waste your time with this one. This is a light listen. It's perfect for a relaxing day when you're in the mood for a sweet love story with a good dose of humor. Animal lovers will also enjoy listening about the pets the heroine has because they each have quite peculiar personalities. I enjoyed it a lot and for the price it should definitely be a yes for you too. I liked the narrator as well. If you’re looking for a quick, fun read, this is it! Humorous and lighthearted, the characters in this book tug at your romantic heartstrings. Absolutely loved it! I loved this book. I was sweet and refreshing. Great was to spend my commute. I absolutely loved the back and forth between Gavin and Sarah. Their sexual tension/build up made for a wonderful explosion once they decided to be with one another. I also loved the fact that Sarah was an animal lover, and Gavin accepted her during all of her "reject" rescues. The ending is funny but perfect. Amazing story of love desire and true commitment! Wow, this story even had me feeling very happy. This really was a waste of time. Could only get brought 3 chapters and had to just put an end to it. Glad it was free. I have to say the first 30 minutes or so of this book had me tempted to turn it off and return it. 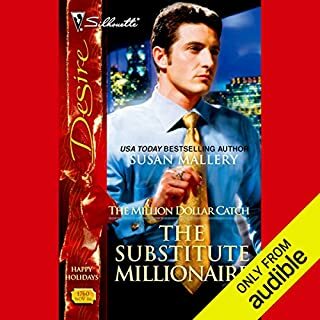 I really don't like books where the female lead is so down on herself that she is SURE the guy won't want her....then I remembered it was a very short book and the whole thing cost less than $4, so not like I could get a credit back...glad I pushed on! This turned out to be a charming little listen. Full of cute moments, laugh out loud moments, hot chemistry, and overall a swoon worthy male lead. I haven't read anything like this before....since when does a man play hard to get with the woman he wants? Chaos ensues....and it was a blast to listen to. Nothing dramatic, just a fluff love story, but it made me smile. So, for less than $4 take a chance. 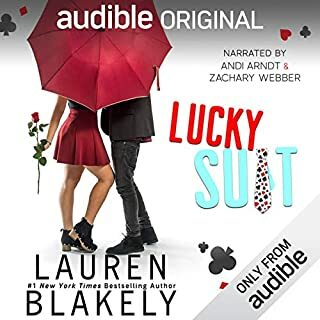 I would also like to point out that the same cover is used for a book called Rush Me, which was just freaking awesome, so if you can pick that one up too!